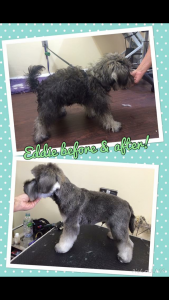 I first started grooming at 17 years old and now have 24 years salon experience. 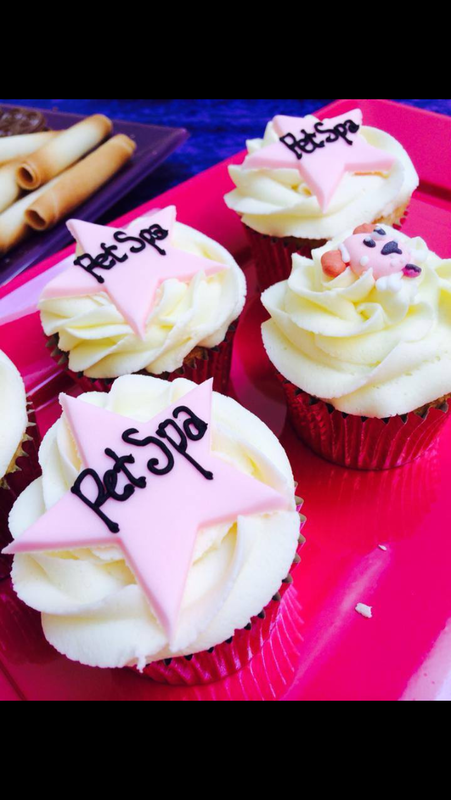 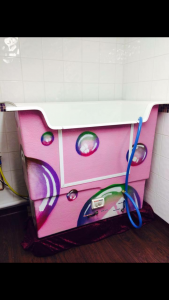 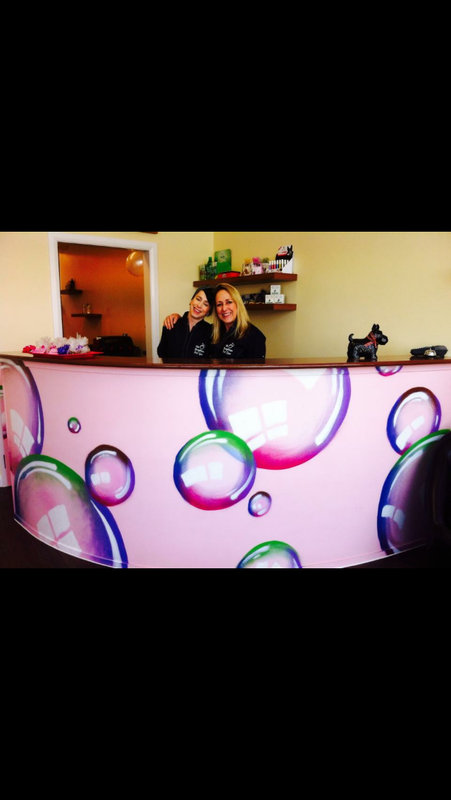 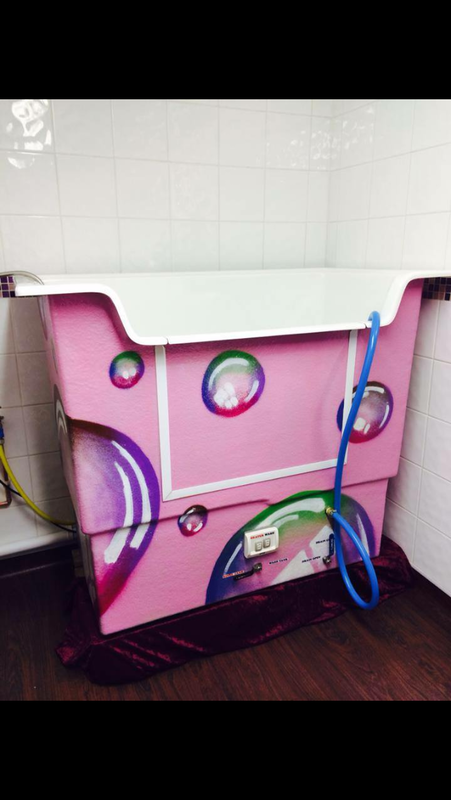 In 2014 I went into partnership with Chrisse Warwick and together we created The Brighton Pet Spa. 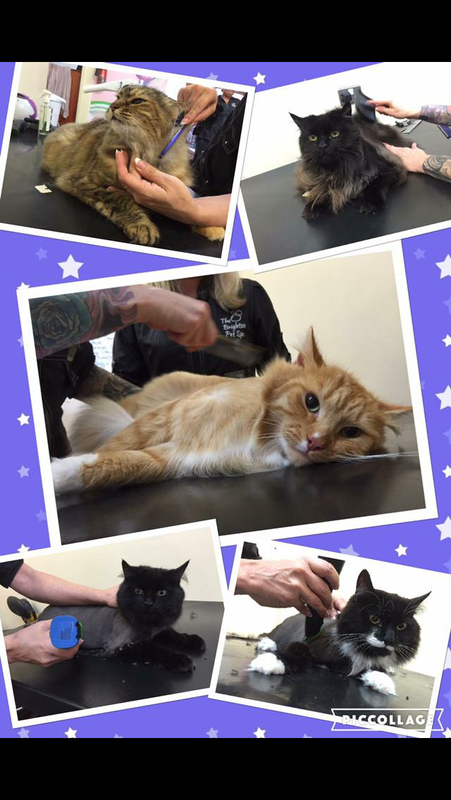 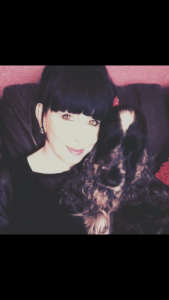 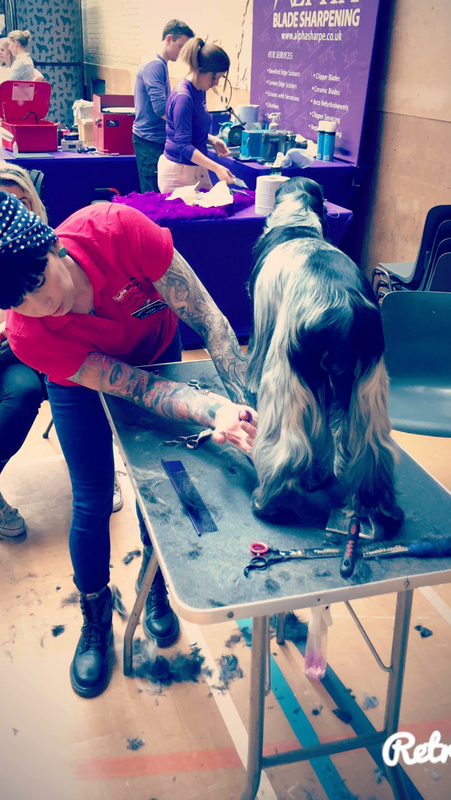 Grooming is so much more than a job to me and I'm constantly striving to improve my skills and knowledge to provide the best service and care I can for my clients ..human , canine and feline ! 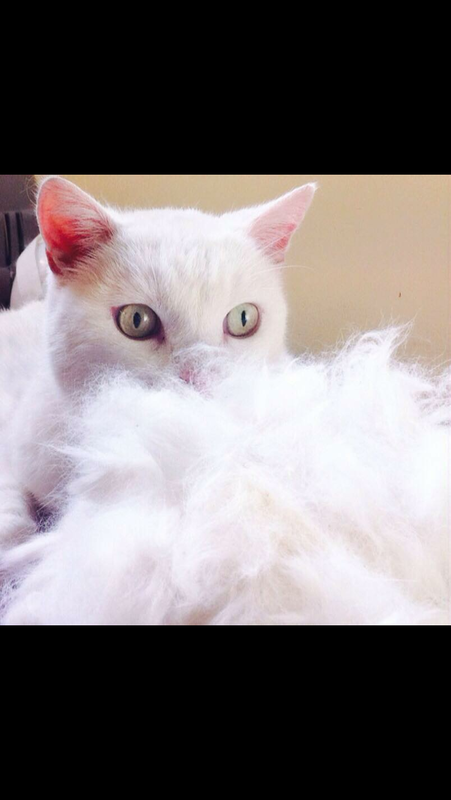 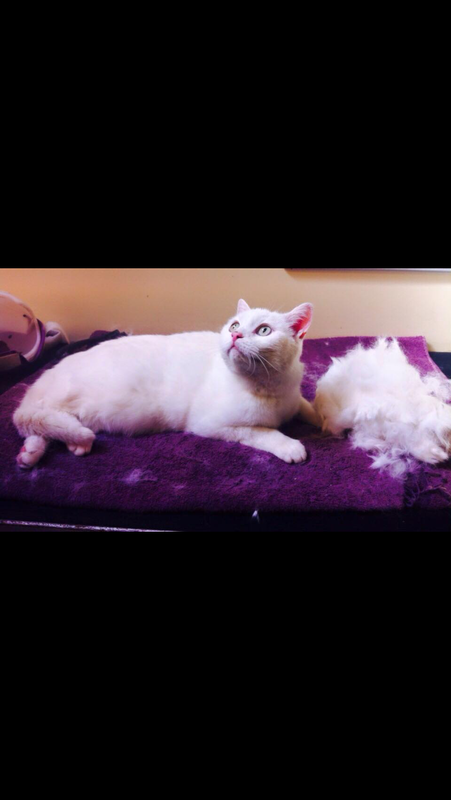 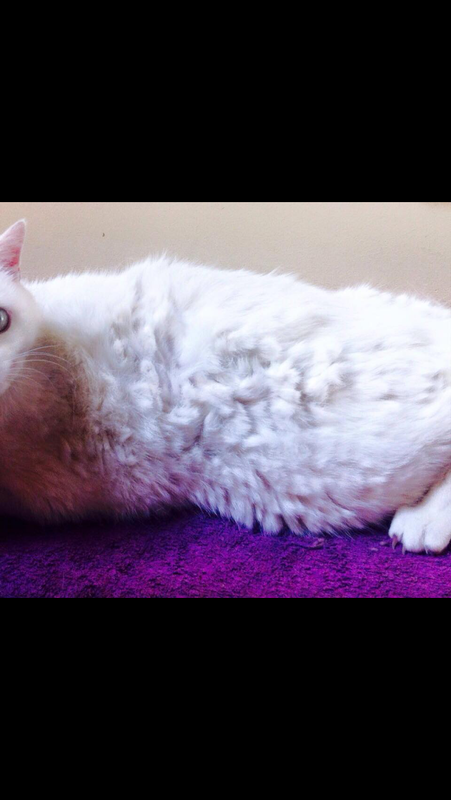 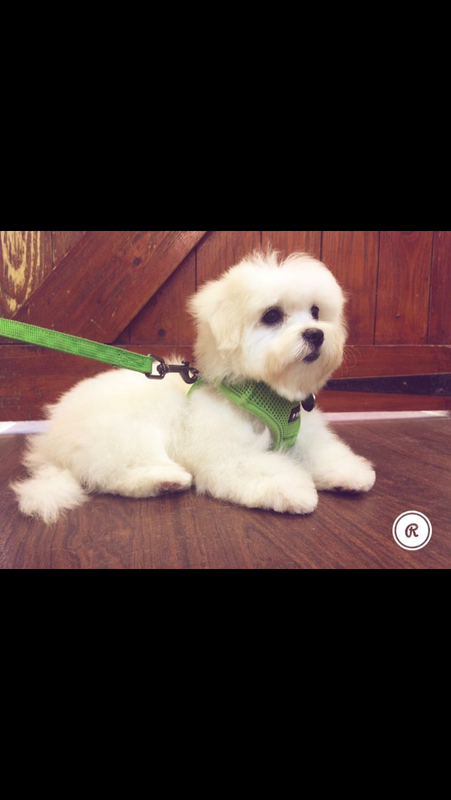 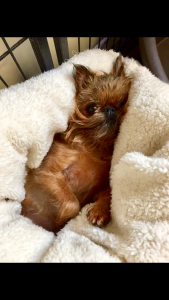 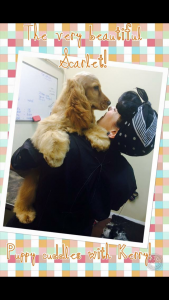 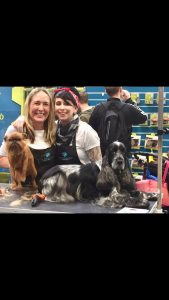 We all own dogs and cats ourselves so understand that they are more than pets, they are family, and taking care of their grooming needs is what we are passionate about. 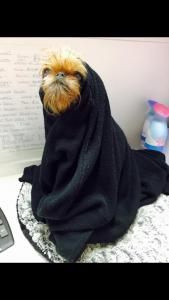 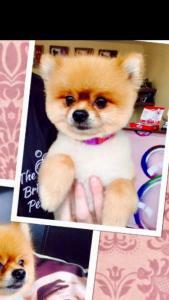 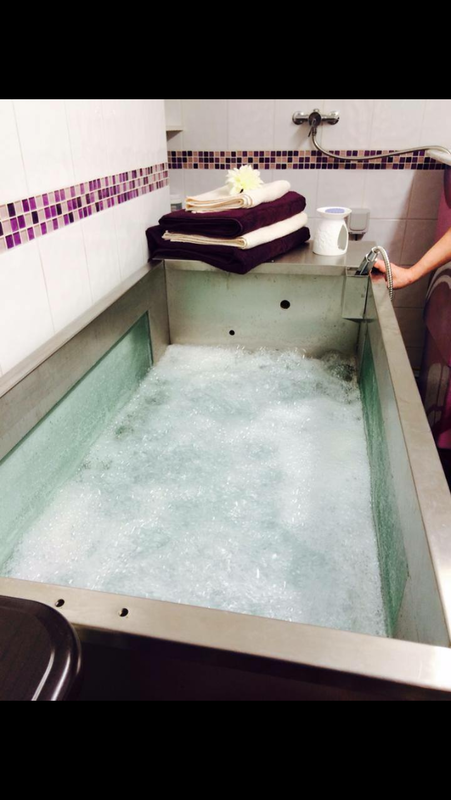 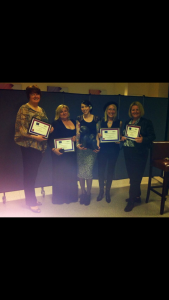 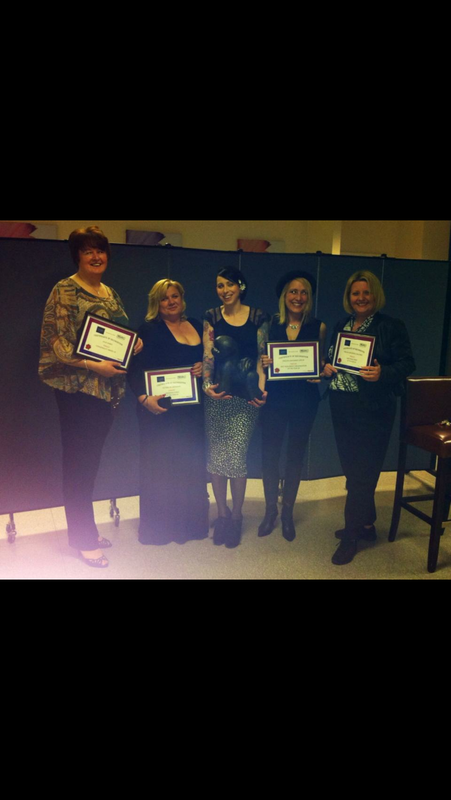 Here at The Brighton Pet Spa we never stop learning and regularly attend seminars and workshops both here and abroad. We have attended seminars in New Jersey, Germany, Belgium and this year Las Vegas is the learning destination of choice, no where is too far to watch world class groomers and learn as much as possible. 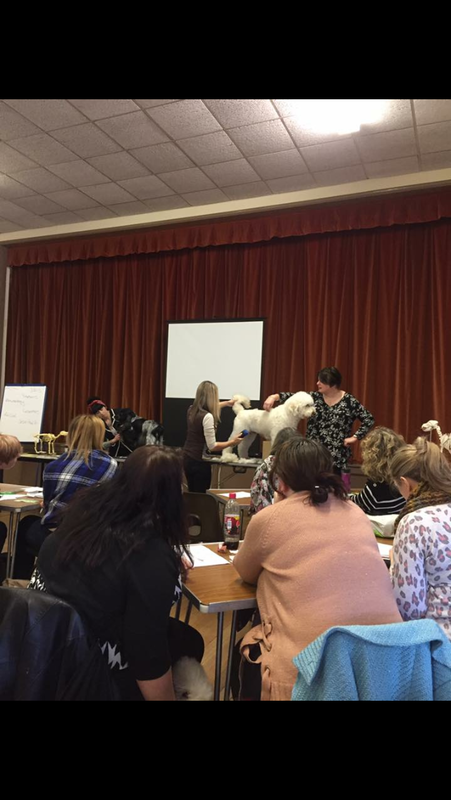 Some of the workshops and seminars we have completed in recent years include structure and movement..anatomy..understand ing skin..Canine massage, handstripping..behaviour..handling and first aid. 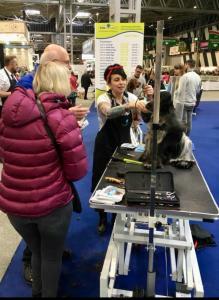 We are also both qualified microchippers. We are comitte members of The English Groomers Group, a non profit organisation that helps new and up and coming groomers in the industry..we are regularly involved in workshops, demonstrations and help to run two grooming competitions a year.. hoping to inspire a new generation into falling in love with the profession and feeling as passionate about it as we do. 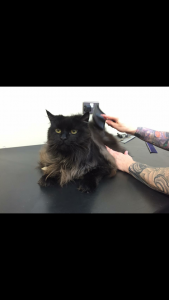 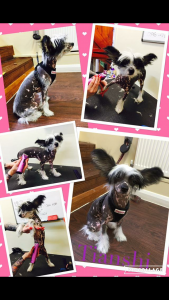 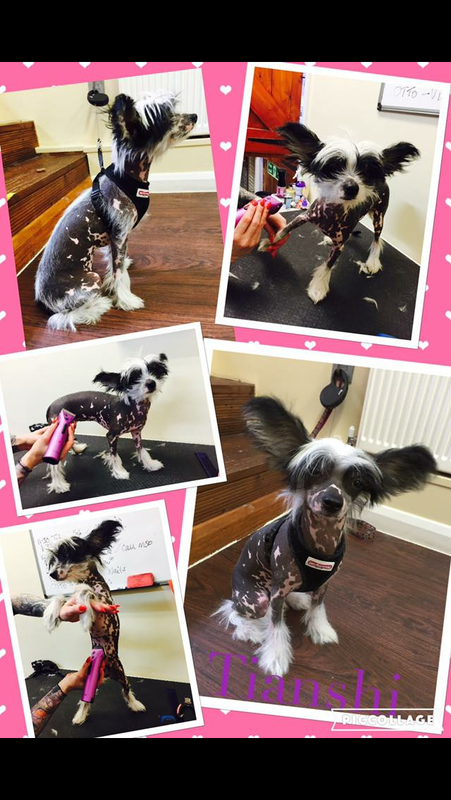 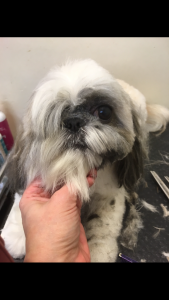 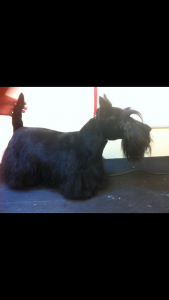 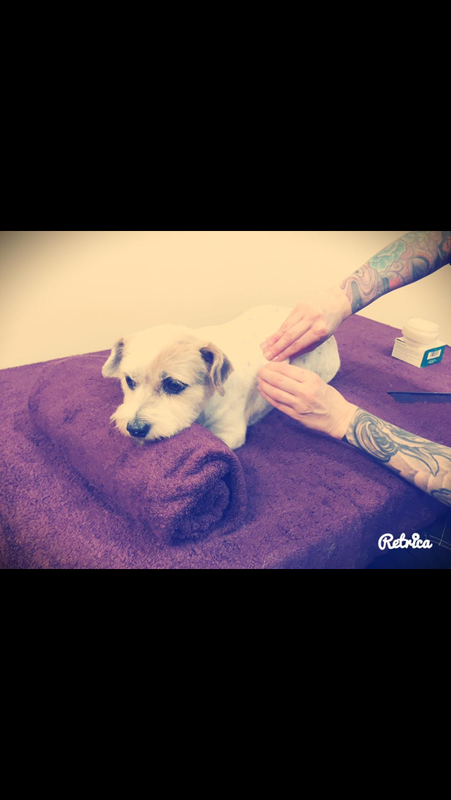 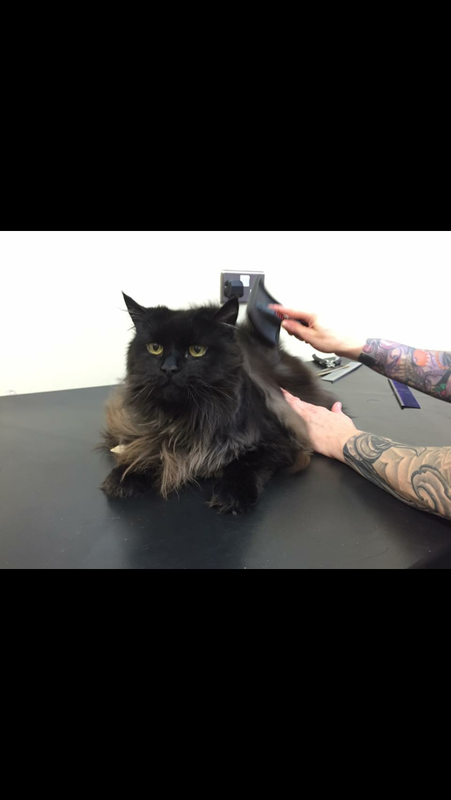 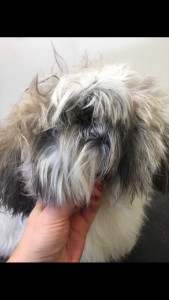 I am an award winning groomer and I have had my C & G advanced (7750) qualification for ten years , and a few years ago I passed all 7 practical units of my higher diploma. I'm just crazy about dogs really ! 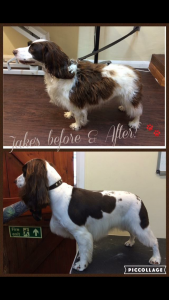 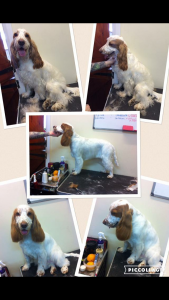 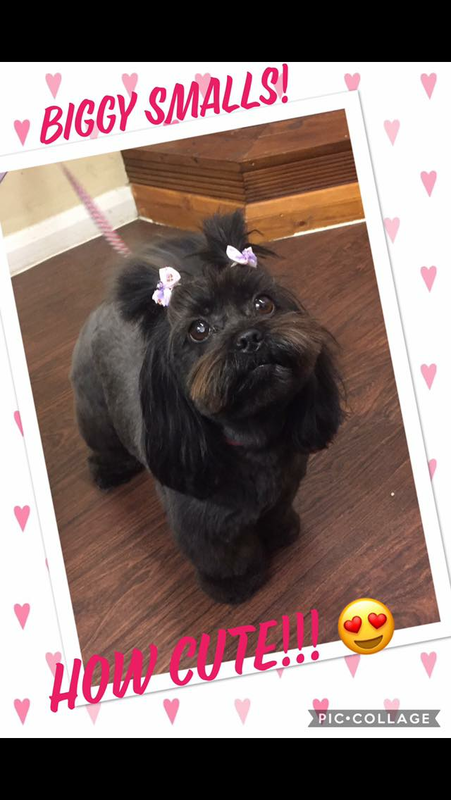 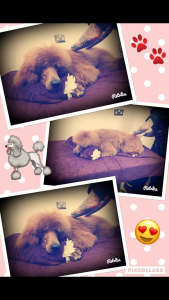 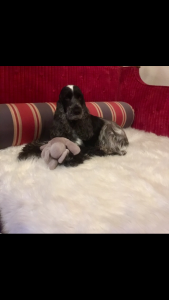 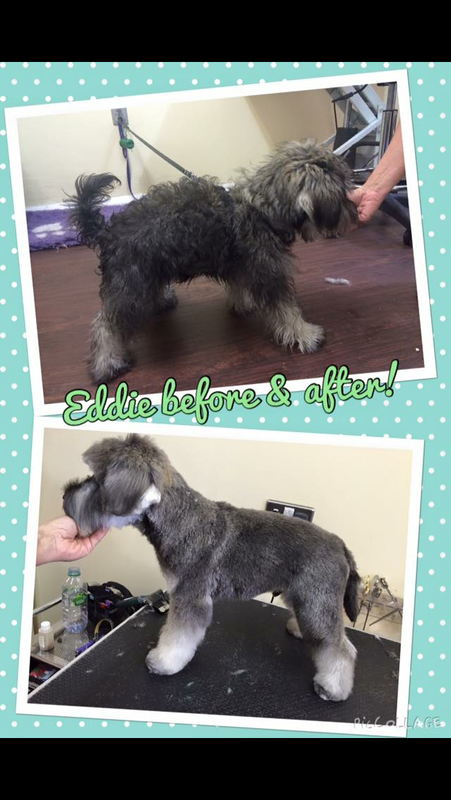 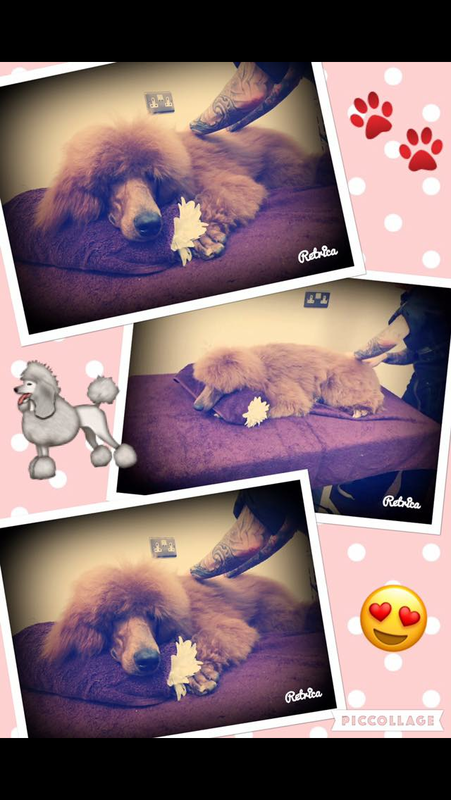 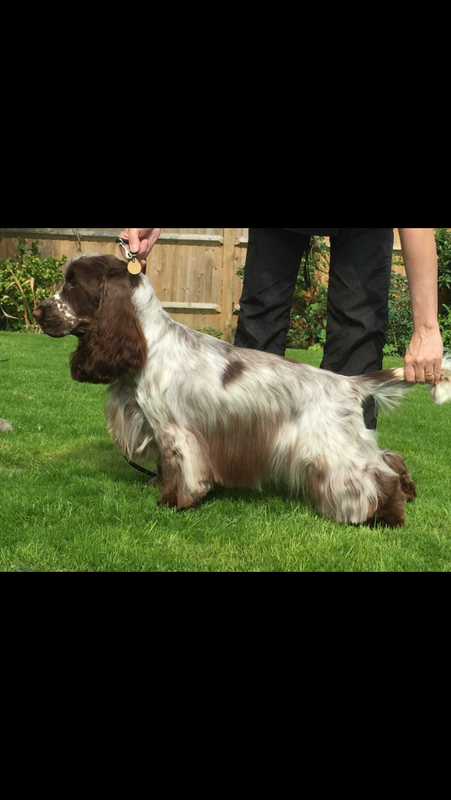 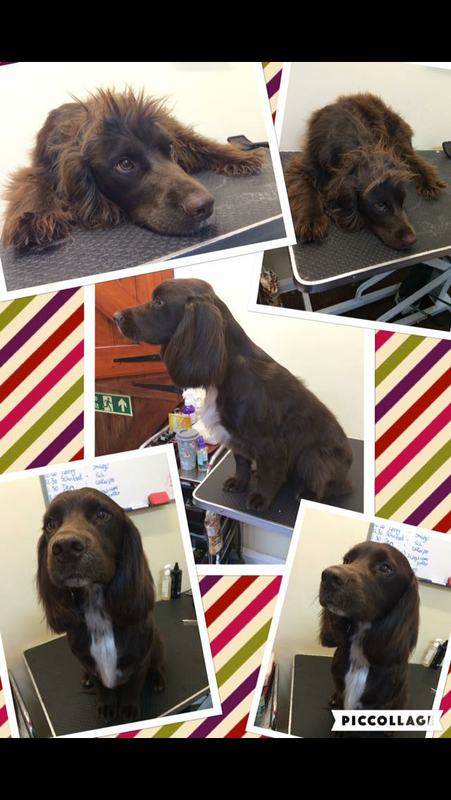 I love grooming all breeds, and am very happy grooming to breed standard or customising trims to suit your dogs lifestyle and needs ..I have a big soft spot for English Cocker Spaniels as I own one myself and really enjoy grooming them. 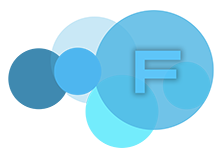 If you have any enquiries we are always happy to listen and you can also find us on Facebook and twitter.. thank you for taking the time to read my profile.